That means I get tons of slow cooker questions. There are so many different brands, styles, and sizes that it can be difficult to navigate. I’m here to help you and you can use the contact form if you have any questions that aren’t answered here. Please note that this post has affiliate links in it, but you do not pay a penny extra if you purchase through them and you are helping to support Healthy Slow Cooking. The number one question that I’m asked is what slow cooker should I buy. While other sites may show you the ‘best rated’ slow cooker, I have my favorites which I’m happy to recommend and a few of the new latest crockpots to share with you. To start here are a few questions to ask yourself to determine what’s slow cooker is best for you and/or your family. You could read all of the best slow cooker reviews out there, but if you don’t have the answers to these questions, you could find yourself disappointed with your choice. The Cuisinart 3 1/2 quart programmable slow cooker and is the one I reach for first. It is a little more expensive than buying one without the fancy programming, but this one has something special that none of the other slow cookers have – a simmer setting. The simmer mimics the old low of your Mother’s slow cooker, in addition to warm, low, and high. There is also a 6 1/2 quart model if you are feeding a large family. I also recommend a cheaper 4-quart Crockpot slow cooker if you aren’t looking for anything fancy. There are just 3 settings, warm, low and high. You will have to manually change the settings when you want since there’s no built-in timer. But it’s inexpensive and you can get it at almost any big box store. It’s a great one to start with. , that’s written just for a 1 1/2 or 2-quart slow cooker. 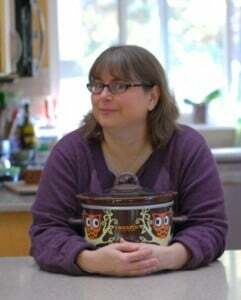 I tested many of them and my favorite new one is the 2-quart model Crockpot makes. You can buy it anywhere and some of the other brands at this size runs hot. If you can find an old Crockette (not little dipper), it’s a 1 1/2 quart model at a thrift store snap it up. It’s the best small slow cooker for oatmeal and they stopped making it in the 90’s. The Instant Pot isn’t exactly a slow cooker, though it does have a slow cooker function. It’s actually a multi-cooker. What that means is it’s an electric pressure cooker with slow cooker, rice cooker, congee and yogurt settings. There is a 6-quart version that I have, as well as brand new 3-quart and 8-quart that I haven’t tried yet. I use to love the Hamilton Beach 3 in 1, and honestly I still love mine. But they discontinued it and now it’s ridiculously expensive, but you can look for it in thrift stores just in case. I was so excited when I found out that Hamilton Beach made a new version! The old one had 3 different crocks that nested inside each other for storage. The new version called Right Size, has one crock with a visible line inside to show you if you are filling it up to the 2, 4, or 6 quart line. If you only have room for one slow cooker I suggest the Hamilton Beach Right Size or a 6-quart Instant Pot. The first time you use a new (or used) slow cooker you should think of it as a test and stay at home while it’s cooking. Just like any appliance you need to make sure it’s working properly. If you’re impatient like me, start with one of my slow cooker soup recipes to test it out. It’s the least likely type of recipe to overcook, so it’s a good test to see if your new slow cooker runs hot. If your slow cooker boils on low, or stew recipes tend to overcook your slow cooker runs hot. I recommend that you add an additional 1/4 to 1/2 cup liquid in recipes if yours runs hot. You can always cook out any extra liquid, but once something is burned you can’t go back! Cook out extra liquid by removing the lid and turning it to high. Or you can pour into a soup pot and reduce on your stove if you are in a hurry. If you inherited your Mother’s slow cooker or bought one at a thrift store it may run cooler. In the past 10 or 15 years slow cooker manufacturer’s have raised the cooking temperatures for food safety – most because of meat issues. If all of you dishes seem watery this may be you. I’d recommend reducing the liquid by 1/4 to 1/2 cup in a recipe to determine the fix your slow cooker needs. and here on Healthy Slow Cooking. You should know that the new low heat setting can be almost as high as the old high. This was changed for safety issues with meat mostly, but we all have to work with it. If you are getting your first slow cooker you won’t have many expectations. However, if yours just died there are a few things to think of when getting a new one. Also, you have my condolences! If you have some extra money, I’d recommend getting the Cuisinart 3 1/2 quart programmable slow cooker since it has a simmer setting that mimics the low on the older model crockpots. Cuisinart also a 6 1/2 quart version if you need a larger one. A new slow cooker will run hotter than the one you are replacing that’s 10 or more years old. If you are finding your old recipes are cooking too fast go ahead and add more liquid or cook for a shorter amount of time. Eventually, you’ll find the groove of your new slow cooker and you will automatically adjust. If you really miss your old slow cooker, look in thrift stores and you may find the exact one! That’s where I get my Crockettes. Another thing to think about is if your electric base didn’t die, but you broke your crock chances are good you’ll find a replacement in a thrift store too. How Many People Are You Cooking For? This may be the most important question you need to think of before you get a new slow cooker. If you have a small family or it’s just you, a 5 or 6-quart slow cooker would keep you in chili or soup long after you’ve grown tired of it. On the other hand in large slow cookers you can cook a few pounds of dry beans at a time to store in the freezer. It’s really your preference. you won’t be able to feed more than 2. With that said I like having a small slow cooker for breakfast and a large 6 quart for cooking pumpkins and giant batches of dry beans that I freeze in 1 1/2 cup portions. You can triple or quadruple this dry bean recipe or use it as is with a 1 1/2-quart slow cooker. You’ll find that you can adjust recipes to use in other size slow cookers, but keep to your manual’s rule of how full it needs to be to cook properly. Should You Get a Round or Oval Crockpot? Many people ask if the shape matters. This question isn’t as important as the size one, but if you are looking to make a few specific things in your crockpot you may want to think about it. Want to slow cook yeast or quick bread in a loaf pan? An oval slow cooker is the one for you if you want to fit pans inside the slow cooker and to get them back out easily. Round slow cookers are often less expensive, but tend to have more hot spots in my experience, so I don’t like them for baking though they are perfect for typical slow cooker recipes. If you want to cook whole pie pumpkins or butternut squash that may also influence your choice. I find that oval ones tend to fit butternut squash better and round ones accommodate pumpkin well. Manual slow cookers are less expensive – sometimes half the price, so that’s a very good reason to choose one. You don’t have to have an extra fancy one to make some delicious slow cooker meals. refers to its ability to automatically switch to warm after the time you specify. It does not allow you to program the time it starts. Lots of people would get food poisoning if they did – especially meat eaters! However, if you come home late or have an unpredictable schedule, spend the extra money on a programmable slow cooker. It will pay for itself in no time by never overcooking your dinner. You set it for a certain number of hours and then it turns itself to warm after that. If you can’t afford a programmable slow cooker yet and you tend to work late, you can always pick recipes that will hold longer like soups or stews. Or you can add an extra 1/2 cup liquid to assure it doesn’t cook dry before you get home. Multicooker or Just Slow Cooker? Multicookers were new to me until I got an Instant Pot. However not every multicooker has every setting you expect. One reason to get a multicooker is to saute right in the some pan you slow cook in. I know many people don’t like to dirty up pans. 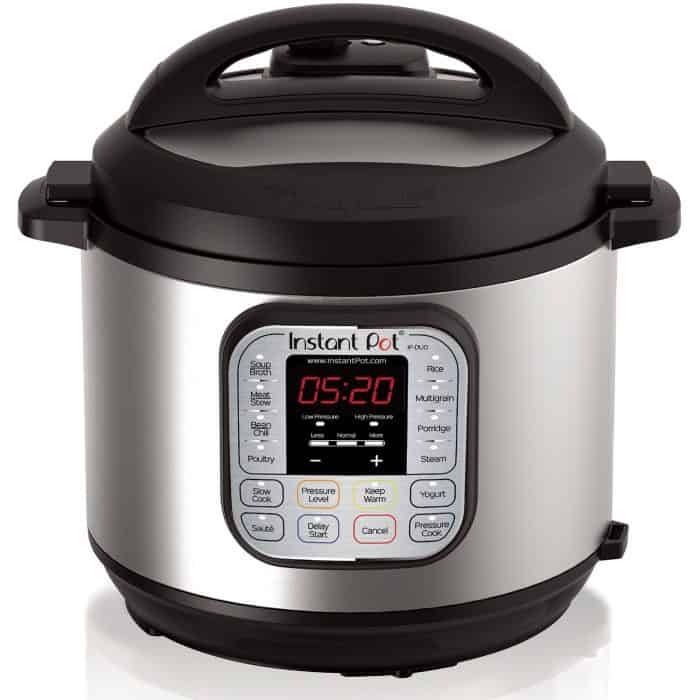 The Instant Pot brand Slow Cooker has a saute function in addition to programmable functions. So do these: Cuisinart MSC-600FR 3-In-1 6-Quart Multi-Cooker, Hamilton Beach 6-Quart Programmable Searing Slow Cooker, and the 6-Quart Ninja CS960 Cooking System with Auto-iQ. One thing to note is everything called a multicooker is not an Instant Pot and may not have the same functions. When a recipe calls for an Instant Pot it usually talks about using the manual/pressure cooker setting. So if you want to use those recipes you need to make sure that your multicooker has that. My favorite thing is its stainless-steel insert and the fact that it can replace my yogurt maker and rice cooker in addition to being a pressure cooker and slow cooker too. If you live in a small house or apartment this is well worth it to have all these features in such a small footprint. 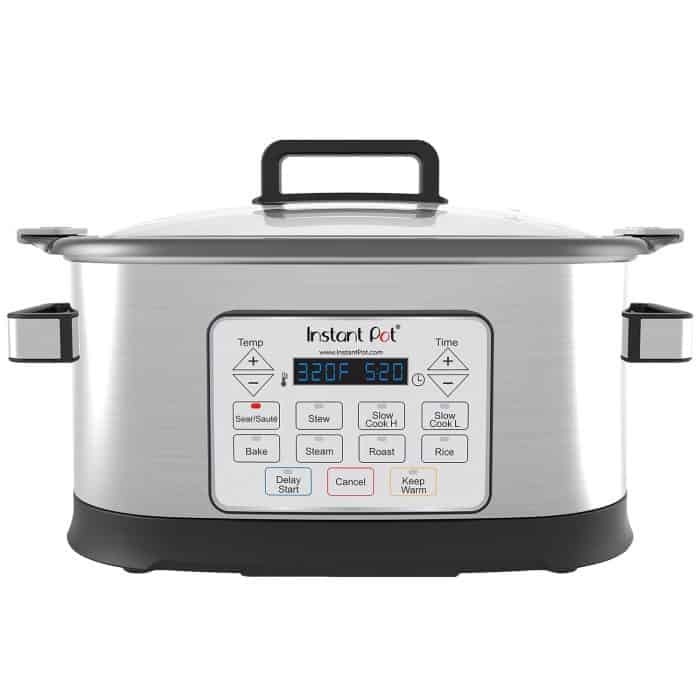 Below is is an Instant Pot brand Slow Cooker, or a multi-cooker without a pressure cooker fuction. And most recipes that call for an Instant Pot use the pressure cooker feature. You can steam, saute, make rice, and slow cook in it – so it may be all you really need. Many brands are producing multicookers now, but not all of them do everything my Instapot does so read the descriptions carefully. You can see the latest mulicooker line-up here on Amazon. One question I get asked a lot is do you know what brands of slow cookers don’t use lead in the glaze of their crocks. Most well-known brands have posted that they do not use lead on their websites, but you need to always check before you buy. 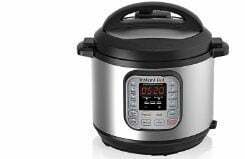 I just got this 8 Cup / 4.2-Quart VitaClay Smart Organic Multi-Cooker and it has a rice cooker, a slow cooker, a steamer plus a yogurt maker. There is no glaze, so there’s no possibility of lead. I’m doing some testing with it now and it makes perfect brown rice. The slow cooker function is actually different than regular slow cookers and cooks in about half the time. More on that to come! Thank you so much for this post! As a slow-cooker novice, I was totally in the dark. I got my hands on a Rival 1 1/2-qt model for 10 bucks at Target yesterday, and I can’t wait to get cooking! I’m just excited to hear about your first oatmeal in it! I have been using an oval 3 1/2 or 4 qt Rival for years and it runs really HOT and has hot spots. (it holds 4 qts of water total so I assume it’s a 4qt but it actually doesn’t say anywhere what size it is) Anyway, I was just givent my mom’s (relatively new) Rival 6 qt oval and like it much better because it runs less hot and cooks more evenly, even though i haven’t been adjusting the recipes to fill it more. I want to get a 1 qt for dips and things around the holidays too. Thanks for the great blog! I have the Hamilton Beach 3 in 1 model…love it. But I also have an oval one…4 qt…and a small 1 1/2 or 2 qt…it’s great for little things, and soup just for me. 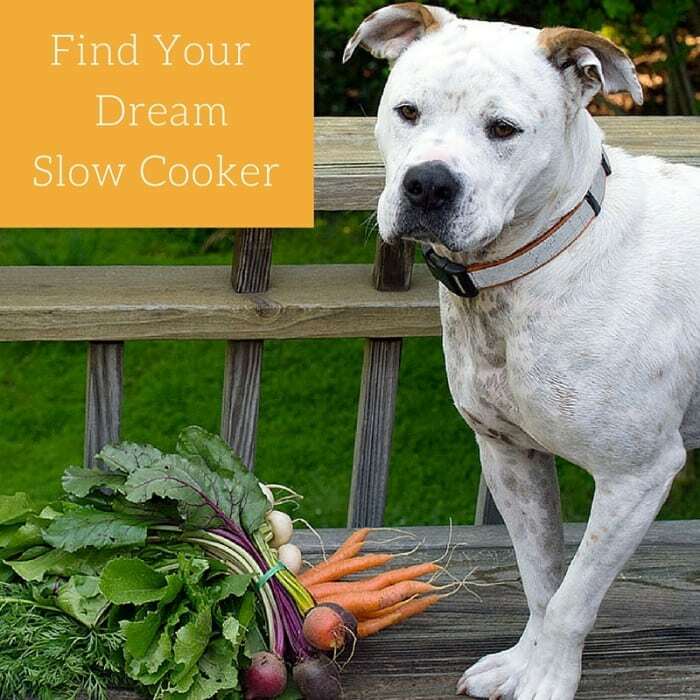 Hi Kathy, I just bought your book and am really eager to get started…In purchasing a slow cooker I am concerned about lead in the ceramic inserts and have read a lot to reports that many of them…especially less expensive models leach lead. I am also concerned about bacteria growth in having food cook at a low temperature for a long period of time. I’m not much into food science, but it is my understanding that the reason slow cookers cook hotter now than before is because of the issues with meats. So if your slow cooker is cooking properly and has no cracks in the glaze or pottery you should be good to go. Make sure to cook on low or high and only use warm to keep things warm for how ever many hours your manufacturer recommends. You mentioned the Hamilton 3 in 1, saying It has a 2, 4, and 6 quart interchangeable bowls with one base. My boyfriend & I live in a loft & don’t have much storage space, but would like the option of having a 6 quart to be able to entertain. My question is, is there a difference with the cooking if the bowl is not concealed by the metal base? Is it less affective than those that are surrounded with it’s base? Also..would you recommend this for a cooking period of 11 hours? Thank you so much for writing this! Even the best slow cookers have such mixed reviews, and now I understand that the worst reviews were coming from people who were replacing ancient crock pots and didn’t know about the changes you mentioned. The size suggestions are a big help, too. Meant to ask what is the delicious looking recipe you use as a banner ?header or whatever that space is called? Looks a bit like white cornbread, blueberries and mint, of course, and a little white béchamel – which could be stevia sweetened for a dessert occasion? I am a novice with slow cooking, but love it! I have a Breville multi cooker…now I cook rice early, to be able to use it for slow cooking. It is great!! Maybe a little pricey, but it is worth the money. What are your thoughts on using a coated cast iron cooker? If I’m cooking a stew in Winter I often use a porcelain coated cast iron dutch oven. Is that would you mean? The main reason I prefer slow cookers is that I can cook while I am not at home. I just bought Vegan Slow Cooking for Two or Just for You [Kindle Edition] and I’m reading it now. I love the slow cooker in the book, the lime green and white one along with the white and blue bowls. Where did you get them? Thank you. Hi – I just found your blog through the post on theKitchn and I’m enjoying looking around. I have four slow cookers myself. I have one of those Crockettes, a round one that I think is about 4 qts (it came with my husband when we got married), and an oval one from Hamilton Beach…maybe it’s 6 qts? and it has two nonstick metal inserts. Do you have any recipes for that? I’ve never used the inserts and I’ve come close to tossing them several times but then I think they might be useful! My last slow cooker is the most unusual. It is square and low and the base is an electric skillet. So the cord has the temperature control and it has more control than most other cookers. I inherited it from my great grandmother. Have you ever seen one like this? I’ve only seen one other (on eBay). The lid is pretty roomy. I’d love it if you have some experience with this kind as it’s purpose is a little different from deeper ones. Like it would be good for lasagne or other casseroles, but I don’t have any recipes for it. I’ve mainly used it for chicken dishes so far. I have not used the unusual slow cooker that you got from your great grandmother, but I think there is a West Bend that might be close. I think you could do a lasagna in it but I would do it on a day when you are at home to make sure the bottom doesn’t burn. It’s funny that out of all my slow cooker you’ve asked about 2 I don’t have! I haven’t been sent one of the ones with a metal insert, but I think you could saute onion and spices right in your slow cooker. I’ve started making slow cooked onions in my small slow cooker and freezing them in ice cube trays to use in other dishes. Hopefully I’ll have better answers to your next questions! I grew Mother Stallard beans for the first time this year so I was excited to find a recipe for them in “Vegan Slow Cooking for Two”. Its the first recipe I tried from this book & it turned out great. I will definitely make this again. Have you tried the WonderBag slow cooker? 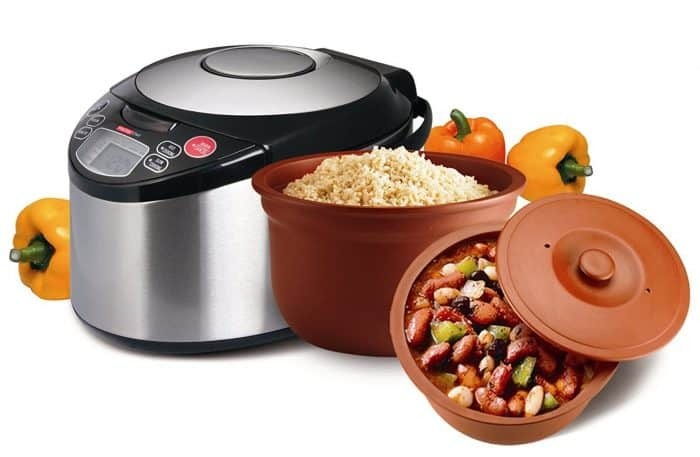 Really cool product – gives you a slow cooker but don’t have to leave it plugged in all day when you are not at home. Eco friendly too – I work in Africa and these are based on the South African designer’s grandmother’s method from her childhood. And it works! I haven’t but I’d love to try one! Is there any secret to downsizing a recipe meant for a large crockpot to cook in a 1.5 quart one? I’ve noticed many slow cooker recipes online are for larger pots than the small one I own. I hate to say it but trial and error are really the only way when you are pulling recipes from many different places. If it’s for a 4 quart slow cooker I start by cutting it in half. I hope this helps a little! I rarely cook for more than 2 but for some reason, the 5 and 6 qt programmable models are more affordable than the 3 or 3.5 qt. Should I still go with the smaller or the larger one? Trying to be frugal! Thanks. If you don’t need the programable version a 2.5 – 3.5 can be found fairly cheap at a grocery, big box store or better yet at the thrift store. Another thing is you can do is cook in a small pyrex dish inside you 6 quart slow cooker if you already have one. I hope this helps! Great tip! Thank you. I do think you sold me on the 3.5 with the simmer + program options, though. Really appreciate it. I was wondering if you’ve ever used a 1.5 quart Proctor Silex round slow cooker? I bought your Vegan Slow Cooking for Two as well as the PS slow cooker. I decided to make the vegan sloppy joes, and cooked it approx. 8 hours on low heat. When I lifted the lid, the sloppy joe mixture was still a soupy consistency and the black eyed peas weren’t finished completely. I am thinking that the slow cooker is too low in temp. or the slow cooker isn’t the best quality. If you have a PS cooker, have you had any issues? I’m pretty sure I had one when I wrote the book. I tend to give them away and don’t have one now. If I remember correctly mine ran hot. Could your bean have been old? It takes longer to cook older beans and sometimes they have been in the store awhile. One thing to try is to soak the beans overnight and try cooking it then with less liquid. Let me know how it goes. Thanks, Kathy. I am actually going to try it again. I looove this recipe. I put the sloppy joes in a spinach tortilla and it tasted amazing. Thank You this information is very helpful. 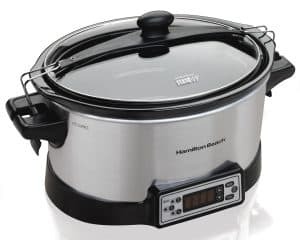 Do you have a suggestion for a small crockpot / slow cooker that I could use to make lunch for work? I would like to start making it the night before and just carry it in to the office. Come home clean it out and start again. I was looking at the Pressure Cooker 3 QT but you mentioned above 3 quarts is enough to feed 2 or 3 people. That’s way to much for what I need. I make small portions in my 1 1/2 to 2 quart slow cookers, but I put in a thermos to take with me. There is a lunch crock, but it’s supposed to be only for warming food. Thank you so much for letting us know! I currently have an oval, 6 or 7 quart slow cooker that is too big. When I make chili for my family of five, using a one pound beef recipe, it only fills the bottom about 1/4 high and burns on the lowest setting. I want to try a smaller slow cooker. I found a deal on a 3.5 quart one. Do you think that is big enough for this type of chili recipe? Can you fill it almost to the top, or only 3/4 full? Thanks! Without seeing all the ingredients it’s hard to tell, but my basic chili recipes cook in a 3 1/2 to 4 quart slow cooker just fine. You will need to read the directions on the new slow cooker that you get some say that you can only fill 3/4 full. Thanks! So glad I found your site. I am reading The Vegan Slow Cooker and wanted to find out what size crockpot the recipes are for? 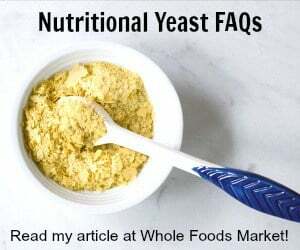 I’m a beginner and I am not sure the volume (and servings) that will be created uses the recipes as is. In the intro chapter is where it tells you that all recipes are for a 4 quart slow cooker unless there is a different size stated in the recipe. Let me know if you have any other questions! I received the Slow cooking for 1 or 2 and I’m now getting the cooker. If I get the 3 quart will that be suitable for the recipes in that book that say to use a 2 quart? The 2 quart seems so small but I don’t want to get one that won’t work with the recipes as written. You should be able to cook all the recipes except for the baking in a 3 quart. If it runs hot you may need to add some additional liquid. So much useful information on here! I’m glad I stumbled upon your post. Thank you for pointing out why you have included the slow cookers that you did because it seems that so often I have come across sites posting lists of ‘recommended’ slow cookers that are little more than a list of product links to amazon with no reason for their inclusion. I also like that you have taken the time to ask readers some basic questions about things like how many are you potentially cooking for and would you prefer manual or programmable, since those are things that can often be overlooked. Would you please add a section on your favorite air fryers? Thank you! I will work on it! Cooks Illustrated suggests making a “collar” of aluminum foil placed inside the back (where most slow cookers have their hotspots) to prevent uneven cooking or even burning. I haven’t yet tried using the collar when I am also using a slow cooker bag. Any updated reviews on the Vita Clay cooker and the Wonderbag? I’m wondering if Wonderbag will work to keep food hot while you’re at work. Most recipes I’ve seen are to to cook and serve in about 4 hours. Also it seems like you pretty much cook the recipe before hand so I’m not sure if it saves time. I love the eco friendly-ness of it but it doesn’t seem like a ‘set and forget’ sort of product. I don’t have a wonder bag so I couldn’t tell you. I have used the vita clay and like it a lot – especially for rice. Since the cook times are so different with it I haven’t posted any recipe for it specifically.